In 1990, my parents became really religious after my grandfather died and started following Caodaism religiously. My dad started reading countless Cao Dai books and spent most of his days listening to Cao Dai teachings on his cassette player. My parents met some people from a Cao Dai temple and started taking us to the Cao Dai temple in Perris, CA (Riverside County) every other week for mid-day Mass. At that time, we lived in Orange County, so it took us about 2 hours away to get to Riverside. Every trip to the temple ended up being an all-day event. The drive to the temple was always very interesting and memorable for me. After getting off the freeway, we had to first drive on a paved road with a bunch of humongous rock-shaped animals and dinosaurs on the side of the road for about fifteen minutes and drove through another hilly and bumpy dirt road to finally get to the temple. The trip were always long, but we always had a great time hanging out with people at the temple. The people at the temple always fed us and the food was always fantastic. After Mass, delicious vegetarian food dishes appeared on about six to eight long rectangular tables and everyone ate together and continued hanging out after Mass before it was time to go home. It was also the first time I tasted Fried Lemongrass Tofu. The tofu always came out steaming hot and the smell of the lemongrass was super fragrant. It just tasted so good and has been one of my favorite vegetarian food since. 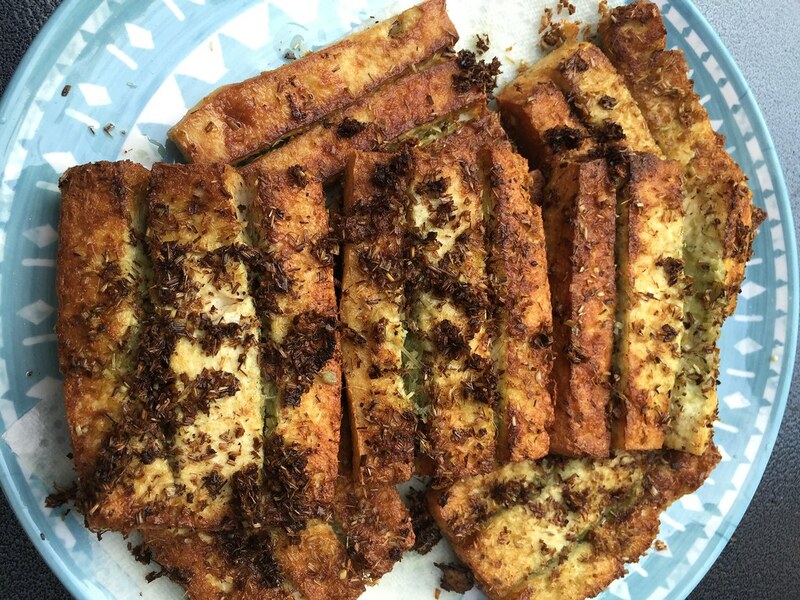 Fried Lemongrass Tofu is very easy to make. It compliments vegetable soup and/or stir-fried veggies very well and is perfect when eaten with white rice. Prepare Tofu – Pat dry excess water from tofu pieces. Cut two deep slits on one side of the tofu with a knife. Season both sides of tofu generously with salt. 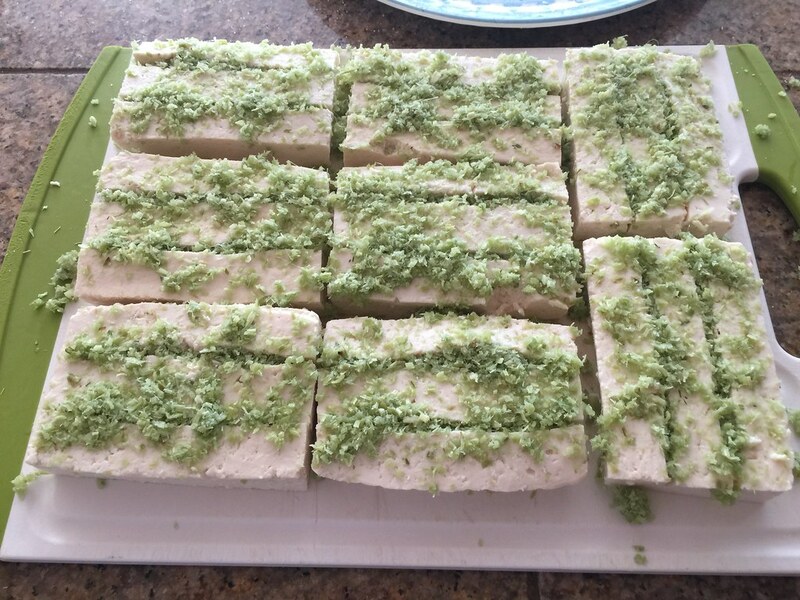 Stuff each tofu piece with about two tablespoons of minced lemongrass. Fry Tofu – Add vegetable oil to a frying pan/skillet over medium heat. Fry tofu for four minutes on each side or until browned.